This Shapeabilities Marcheline Plume Etched Dies Venise Lace by Becca Feeken is a set of three includes an intricate circle emblem design with its circle frame and a magnificent plume motif. Spellbinders Shapeabilities cut, emboss and stencil with a single die template. Venise Lace was inspired by the 17th Century Italian style of lace of the same name, which is created from needlepoint instead of embroidery. You can now use this gorgeous style to add some Italian flair to your projects. Approximate Size: Circle Emblem: 2.85 x 2.80 in. 7.2 x 7.1cm, Emblem Frame: 3.15 x 3.15 in. 8.0 x 8.0cm, Plume: 4.85 x 5.90 in. 12.3 x 14.9cm. Spellbinders Shapeabilities cut, emboss and stencil with a single die template. These Drip Dry Etched Dies are by Seth Apter of The Altered Page. Collection #3 is a wonderful addition to build on his popular mixed media collection. Recreate his unique style through his line of dies, stamps and embossing folders with Spellbinders. A set of three etched dies with the largest die in a square shape and the rest in a circular shape. Each has drip edges for an amazing accent in any project such as art journal, contemporary card or a one of kind creation. Circle 1: 2.00 x 2.00 inch, Circle 2: 2.90 x 3.10 inch, Square: 4.00 x 4.00 inch. Spellbinders Shapeabilities cut, emboss and stencil with a single die template. These Loop De Loop Etched Dies are by Seth Apter of The Altered Page. Collection #3 is a wonderful addition to build on his popular mixed media collection. Recreate his unique style through his line of dies, stamps and embossing folders with Spellbinders. A set of two etched dies with the largest die in a circular shape and the other three connecting circles for a unique accent in any project such as art journal, contemporary card or a one of kind creation. Circle 1: 3.40 x 3.40 inch, Circle 2: 2.75 x 3.75 inch. Spellbinders Shapeabilities cut, emboss and stencil with a single die template. These Ray of Light Etched Dies are by Seth Apter of The Altered Page. Collection #3 is a wonderful addition to build on his popular mixed media collection. Recreate his unique style through his line of dies, stamps and embossing folders with Spellbinders. A set of two etched dies all in a square shape with rounded corners. The smallest square has sunrays in its center. This set makes for a unique accent in any project such as art journal, contemporary card or a one of kind creation. Square 1: 3.00 x 3.00 inch, Square 2: 2.50 x 2.50 inch. Spellbinders Shapeabilities cut, emboss and stencil with a single die template. These Shield Etched Dies are by Seth Apter of The Altered Page. Collection #3 is a wonderful addition to build on his popular mixed media collection. Recreate his unique style through his line of dies, stamps and embossing folders with Spellbinders. A set of three etched dies all in a circular shape. The largest circle has unique cut designs in and around its edges. The smallest circle has four open slots to create a double ring design. This set makes for a fabulous accent in any project such as art journal, contemporary card or a one of kind creation. Circle 1: 1.80 x 1.80 inch, Circle 2: 2.50 x 2.50 inch, Circle 3: 4.00 x 4.00 inch. Spellbinders Shapeabilities cut, emboss and stencil with a single die template. These Steering Wheel Etched Dies are by Seth Apter of The Altered Page. Collection #3 is a wonderful addition to build on his popular mixed media collection. Recreate his unique style through his line of dies, stamps and embossing folders with Spellbinders. A set of three etched dies all in a circular shape. The middle circle has four spokes between a double ring makes for a fabulous accent in any project such as art journal, contemporary card or a one of kind creation. Circle 1: 1.10 x 1.10 inch, Circle 2: 3.25 x 3.25 inch, Circle 3: 4.00 x 4.00 inch. This Shapeabilities Some Bunny Etched Dies My Little Red Wagon by Debi Adams comes with seven dies that bring this CUTE bunny design into any of your projects. Spellbinders Shapeabilities cut, emboss and stencil with a single die template. Tail: 0.40 x 0.45 in., Bow: 0.75 x 0.35 in., Arm: 0.40 x 0.85 in., Headband: 1.35 x 1.25 in., Body Front: 1.35 x 1.40 in., Body Profile: 1.25 x 2.50 in., Head: 2.15 x 2.10 in. This Shapeabilities Victoriana Crest Etched Dies Venise Lace by Becca Feeken includes a set of five beautiful intricate lace oval designs. Spellbinders Shapeabilities cut, emboss and stencil with a single die template. Venise Lace was inspired by the 17th Century Italian style of lace of the same name, which is created from needlepoint instead of embroidery. You can now use this gorgeous style to add some Italian flair to your projects. 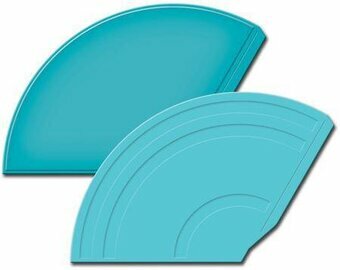 Approximate Size: Oval Tag: 1.40 x 2.10 in. 3.6 x 5.3cm, Floral Oval: 2.90 x 3.90 in. 7.4 x 9.9cm, Oval Insert: 3.15 x 4.15 in. 8.0 x 10.5cm, Crest: 4.70 x 6.35 in. 11.9 x 16.1cm, Crest Frame: 4.9 x 6.65 in. 12.4 x 16.9cm. Barrel of Sentiments Stamp and Die Set Wine Country by Stacey Caron brings both worlds together of die templates and coordinating stamps to give these images life. These cling (EVA) rubber stamps are designed to be used with an acrylic block. This set includes five etched dies with eight coordinating stamps. Wine Country Collection by Stacey Caron will make your projects the toast of any wine tasting, parties or gifts with coordinating motifs to create accents to charms to tags...such great fun! Approximate Size: Dies: Wine Barrel: 3.50 x 3.50 in 8.90 x 8.90 cm, Wine Barrel Insert: 2.70 x 2.70 in 6.90 x 6.90 cm, Banner: 3.50 x 1.10 in 8.90 x 2.80 cm, Label: 2.35 x 1.60 in 6.00 x 4.10 cm, Grapes: 1.10 x 0.70 in 2.80 x 1.80 cm. Stamps: Uncork & Unwind: 1.86 x 1.00 in 4.70 x 2.50 cm, Savor the Moment: 1.65 x 1.00 in 4.20 x 2.50 cm, Come Wine with Us: 1.45 x 1.20 in 3.70 x 3.00 cm, Is It Wine O'Clock Yet? : 1.40 x 1.30 in 3.60 x 3.30 cm, Chardonnay: 2.40 x 0.51 in 6.10 x 1.30 cm, Pinot Grigio: 2.30 x 0.51 in 5.80 x 1.30 cm, Champagne: 2.10 x 0.51 in 5.10 x 1.30 cm, Cabernet: 1.70 x 0.48 in 4.30 x 1.30 cm. Card Creator Time for Wine A2 Card Front Etched Dies Wine Country by Stacey Caron is a set of two dies includes an outline die and an intricate background design with a wine bottle and glass to finish off this stunning motif. Wine Country Collection by Stacey Caron will make your projects the toast of any wine tasting, parties or gifts with coordinating motifs to create accents to charms to tags...such great fun! Approximate Size: Outline: 4.30 x 5.50 in 11.00 x 14.00 cm, Time for Wine: 4.00 x 5.30 in 10.20 x 13.50 cm. Spellbinders Nestabilities Card Creator brings a simple and unique solution to multiple crafting projects. The work is all done for you, no more measuring required. Simply...Choose your design, Assemble your pieces, Refine the details and you're Done! Approximate Size: 1: 2 3/8", 2: 2 7/8", 3: 3 3/8", 4: 3 7/8", 5: 4 3/8", 6: 4 7/8", 7: 5 3/8", 8: 5 7/8". Card Creator die featuring the sentiment "You Are My Sunshine". 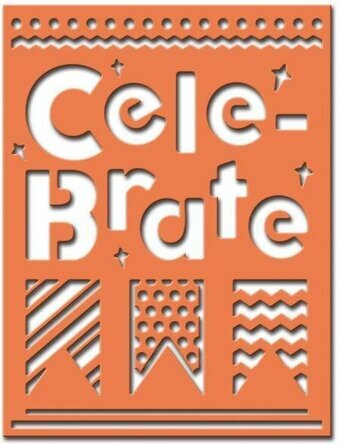 Spellbinders Shapeabilities Decorative Card Fronts bring quick and easy designs to your projects. In addition, they all have outside cut line to maximize your card making options. Approximate Size: Inset: 4 x 5 1/4", Border: 4 1/4 x 5 1/2". This Count the Stars Stamp & Die Set My Little Red Wagon by Debi Adams brings both worlds together of die templates and coordinating stamps to give these images life! These cling foam (EVA) rubber stamps are designed to be used with an acrylic block. This set includes one stamp with three coordinating dies. Numbers Dies from 0.30 x 0.70 in. to 0.60 x 0.70 in. Small Star Die: 1.40 x 1.31 in., Large Star Die: 2.5 x 2.10 in., Stamps: 2.55 x 1.55 in. Die D-Lites Holiday Bell Etched Dies is a set of three creates a wonderful holiday motif for your projects and cards. Spellbinders Shapeabilities cut, deboss, emboss and stencil with a single etched die template. Approximate Size: Leaves: 1.50 x 0.75 in. 3.75 x 2.00cm, Ribbon: 2.00 x 3.50 in. 5.25 x 9.00cm, Bell: 1.75 x 2.00 in. 4.50 x 5.00cm. Die D-Lites Naughty or Nice Etched Dies is a set of five has three different holiday words and phrases to use in many of your holiday projects. Spellbinders Shapeabilities cut, deboss, emboss and stencil with a single etched die template. Approximate Size: Be Merry: 2.75 x 1.25 in. 7.00 x 3.25cm, Naughty: 2.25 x 0.75 in. 5.75 x 2.00cm, Or: 0.25 x 0.25 in. .75 x .75 cm, Nice: 1.25 x 0.75 in. 3.25 x 2.00cm, Believe: 2.25 x 1.75 in. 5.75 x 4.50cm. Die D-Lites Bolts & Nuts Etched Dies is a set of six dies includes three bolts and three nuts. Perfect for DIY theme or masculine projects. Spellbinders Die D-Lites cut, emboss and stencil with a single die template. Approximate Sizes: Short Bolt: 0.90 x 0.60 in, Thin Bolt: 1.50 x 0.50 in, Big Head Bolt: 1.60 x 0.70 in, Straight Nut: 0.50 x 0.50 in, Cross Nut: 0.50 x 0.50 in, Nut: 0.50 x 0.60 in. Die D-Lites Build a Camper Etched Dies is a set of six dies to make assembling a camper so easy and fast! Spellbinders Die D-Lites cut, emboss and stencil with a single die template. Approximate Sizes: Small Wheel: 0.20 x 0.20 in. 0.50 x 0.50 cm, Door: 0.40 x 1.05 in. 1.00 x 2.70 cm, Medium Wheel: 0.50 x 0.50 in. 1.30 x 1.30 cm, Curtains: 0.65 x 0.30 in. 1.60 x 0.80 cm, Tag: 0.70 x 0.45 in. 1.80 x 1.10 cm, Trailer: 2.60 x 1.70 in. 6.60 x 4.30 cm. Die D-Lites Build a Terrarium Etched Dies set includes everything to create your own cactus terrarium, a bed of rocks included! Spellbinders Die D-Lites cut, emboss and stencil with a single die template. Approximate Size: Outer Glass: 2.00 x 2.31 in. 5.00 x 5.90 cm, Inner Glass: 1.75 x 1.90 in. 4.40 x 4.70 cm, Short Round Cactus: 0.60 x 0.40 in. 1.50 x 1.00 cm, Rocks: 1.60 x 0.31 in. 4.10 x 0.90 cm, Bottom Piece: 1.80 x 0.34 in. 4.50 x 0.90 cm, Cactus 2: 0.41 x 1.05 in. 1.00 x 2.70 cm, Cactus 3: 0.60 x 1.25 in. 1.50 x 3.10 cm. Die D-Lites Corner Poppies Etched Dies set is a stunning corner piece embellished full of wonderful poppy blooms. Spellbinders Die D-Lites cut, emboss and stencil with a single die template. Approximate Sizes: Corner Poppies: 3.00 x 3.20 in. 7.60 x 8.00 cm. Die D-Lites Daisy 2 Etched Dies is a set of six dies includes two daisy blossoms, two center sizes, two leaf sizes and a stem leaf. Spellbinders Die D-Lites cut, emboss and stencil with a single die template. Approximate Sizes: Small Center: 0.35 x 0.35 in. 0.80 x 0.80 cm, Small Leaf: 0.35 x 0.61 in. 0.80 x 1.60 cm, Large Leaf: 0.50 x 0.90 in. 1.20 x 2.30 cm, Large Center: 0.51 x 0.51 in. 1.30 x 1.30 cm, Small Flower: 1.05 x 1.05 in. 2.70 x 2.60 cm, Stem Leaf: 1.25 x 1.40 in. 3.10 x 3.50 cm, Large Flower: 1.45 x 1.41 in. 3.70 x 3.60 cm. This tree set is part of our ever growing tree series. There are many detailed designs right down to each branch, bird and even a bird house! There are many tree designs to choose from - which one is your favorite? Spellbinders Shapeabilities Die D-Lites cut, emboss and stencil with a single die template. Approximate Die Template Sizes: Bird 1 (2): 3/8" x 1/4", Bird 2 (2): 3/8" x 3/8", Bird 3 (2): 3/8" x 1/2", Bird House: 1/2" x 3/4", Tree: 2 3/4" x 2 7/8". Die D-Lites Field of Poppies Etched Dies set brings a beautiful row of poppy blooms. Die-cut many to create a full border on your project. Spellbinders Die D-Lites cut, emboss and stencil with a single die template. Approximate Sizes: Field of Poppies: 5.61 x 2.10 in. 14.30 x 5.20 cm. Spellbinders Die D-Lites cut, emboss and stencil with a single die template. With this set, anyone can be a green thumb! Create your own garden that includes water can, pot and plant, even comes with tools. Watering Can: 1.80 x 1.60 in, Garden Fork: 0.50 x 1.20 in, Trowel: 0.50 x 1.30 in, Handles: 0.30 x 0.50 in, Flower: 0.95 x 0.95 in, Stem: 0.85 x 1.20 in, Flower Pot: 0.95 x 0.80 in. This Die D-Lites Hearts Etched Die set would make an awesome addition to your die cutting collection. The set includes three different sizes of hearts with a perforated heart bottom accent and two sizes of leaves. Spellbinders Die D-Lites cut, emboss and stencil with a single die template. Approximate Size: Small Heart: 0.50 x 5.00 in., Medium Heart: 0.82 x 0.78 in., Perforated Heart: 3.00 x 3.00 in., Small Leaf: 0.25 x 0.75 in., Large Leaf: 0.60 x 1.35 in., Perforated Heart Bottom: 2.50 x 1.50 in. Die D-Lites Hip Llama Etched Dies is a set of three dies and just like the name, it is one hip llama! A perfect design to add to any of your trendy and fun projects. Spellbinders Die D-Lites cut, emboss and stencil with a single die template. Approximate Size: Llama: 2.63 x 3.91 in. 6.70 x 10.00 cm, Llama Mouth: 0.32 x 0.32 in. 0.83 x 0.80 cm, Blanket: 1.19 x 0.93 in. 3.10 x 2.40 cm, Sunglasses: 0.64 x 0.24 in. 1.70 x 0.60 cm, Bow Tie 0.43 x 0.23 in. 1.10 x 0.60 cm. Die D-Lites Just For You Etched Dies. Spellbinders Die D-Lites cut, emboss and stencil with a single die template. 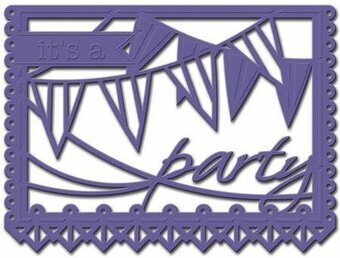 This Die D-Lites Just For You Etched Die set would make an awesome addition to your die cutting collection. The set of four includes Just For You, Leaf, Flower and Flower Pollen. Pollen: 0.15 x 0.15 in, Leaf: 0.60 x 0.75 in, Flower: 0.80 x 0.80 in, For: 1.45 x 0.55 in, You: 1.55 x 0.55 in, Just: 1.70 x 0.60 in. Die D-Lites Lady Bug Garden Etched Dies is a set of six dies that are full of adorable spring themed motifs. Bring a little happiness into your projects. Spellbinders Die D-Lites cut, emboss and stencil with a single die template. Approximate Size: Mushroom: 1.50 x 1.70 in. 3.70 x 4.30 cm, Flower: 0.61 x 1.51 in. 1.60 x 3.80 cm, Single Flower: 1.21 x 1.30 in. 3.00 x 3.0 2cm, Leaf: 0.60 x 1.00 in. 1.40 x 2.50 cm, Large Ladybug: 0.80 x 1.20 in. 1.90 x 2.90 cm, Small Ladybug: 1.20 x 0.60 in. 3.10 x 1.40 cm. Die D-Lites Lavender Bunch Etched Dies is a sweet set of lovely lavender blooms bunched together to be tied with a simple bow. Spellbinders Die D-Lites cut, emboss and stencil with a single die template. Approximate Sizes: Bow: 1.25 x 1.40 in. 3.10 x 3.30 cm, Lavender: 2.40 x 3.60 in. 6.00 x 9.00 cm. Die D-Lites Picket Fence Etched Dies is a set of two dies includes an eight picket fence and a grass border. A versatile design and wonderful addition to your etched die collection. Spellbinders Die D-Lites cut, emboss and stencil with a single die template. Approximate Size: Fence: 3.44 x 1.84 in. 8.80 x 4.70 cm, Grass: 3.54 x 0.42 in. 9.00 x 1.10 cm. Die D-Lites Thank You Etched Dies. Spellbinders Die D-Lites cut, emboss and stencil with a single die template. This Die D-Lites Thank You Etched Die Set would make an awesome addition to your die cutting collection. The set of two includes Thank You and a Bird Silhouette. You: 0.90 x 0.60 in, Thank: 1.65 x 0.60 in, Bird: 1.90 x 1.10 in. This Die D-Lites Trapezoid Dance Quilt Etched Dies from the Quilt It Collection by Lene Lok would make an awesome addition to your die cutting collection. Use the pieces to create a traditional design or create your own motif. Spellbinders Die D-Lites cut, emboss and stencil with a single die template. Approximate Size: Trapezoids: 1.00 x 0.85 in. Die D-Lites Weekend Grill Etched Dies is a set of six dies includes everything you need for your next BBQ project from top, bottom, grill, utensils and even a drink! Spellbinders Die D-Lites cut, emboss and stencil with a single die template. Approximate Sizes: Grill Body: 1.80 x 2.00 in. 45 mm x 49 mm, Grill: 1.60 x 0.80 in. 41 mm x 19 mm, Grill Lid: 1.70 x 1.30 in. 43 mm x 31 mm, Fork: 0.40 x 1.70 in. 9 mm x 42 mm, Spatula: 0.50 x 1.70 in. 12 mm x 43 mm, Bottle: 0.30 x 1.00 in. 7 mm x 26 mm. Die D-Lites You've Got Game Etched Dies is a set of three dies includes a monitor with a hand controller and even a fun sentiment to finish off the set. Spellbinders Die D-Lites cut, emboss and stencil with a single die template. Approximate Sizes: Hand Controller: 1.20 x 1.75 in. 2.90 x 4.40 cm, Text: 2.20 x 1.10 in. 5.50 x 2.80 cm, Computer: 2.70 x 2.00 in. 6.80 x 5.10 cm. 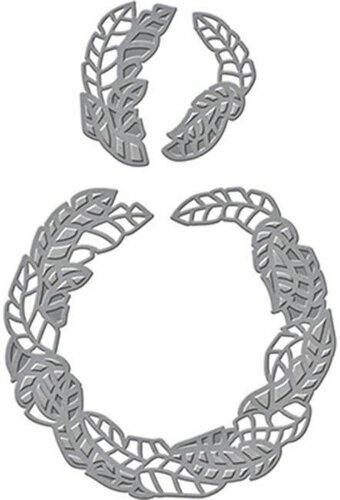 A beautiful design that would adorn a corner of a card or any project with its elegant shape. Cut and emboss with foil for even a more splendid accent! Spellbinders Shapeabilities Die D-Lites cut, emboss and stencil with a single die template. Approximate Die Template Sizes: 2 3/4" x 2 3/4". Spellbinders is proud to offer the latest designs from the Amazing Paper Grace collection by Becca Feeken. This new line is royally beautiful and richly created, to add grace and elegance to any creative project. This Cascading Grace Pocket design can be used to create pockets for 5 x 7 inch cards, scrapbook pages, and more! Approximate Size: Top Frame: 4.15 x 2.00 inches, Top Insert: 4.00 x 1.75 inches, Pocket Frame: 6.15 x 3.15 inches, Pocket Insert: 4.50 x 2.30 inches. Spellbinders is proud to offer the latest designs from the Amazing Paper Grace collection by Becca Feeken. This new line is royally beautiful and richly created, to add grace and elegance to any creative project. This Tiered Multiloop Bows design allows you to create fun 3D bows in multiple sizes. Perfect for Cards, Gifts, Parties, and more! Approximate Size: Bow 1: 1.80 x 4.75 inches (4.6 x 12.1cm), Insert: 1.45 x 3.65 inches (3.7 x 9.3cm), Bow 2: 1.10 x 2.00 inches (2.8 x 5.1cm), Insert: 0.70 x 1.15 inches (1.8 x 2.9cm), Bow 3: 1.50 x 2.80 inches (3.8 x 7.1cm), Insert: 1.15 x 2.10 inches (2.9 x 5.3cm), Bow 4: 1.25 x 4.30 inches (3.2 x 11.0cm), Insert: 0.90 x 3.30 inches (2.3 x 8.4cm), Bow 5: 3.35 x 1.00 inches (8.5 x 2.5cm), Insert: 2.40 x 0.70 inches (6.1 x 1.8cm), Bow 6: 0.90 x 1.95 inches (2.3 x 5.0cm), Insert: 0.65 x 0.85 inches (1.7 x 2.2cm). Spellbinders Die D-Lites cut, emboss and stencil with a single die template. This set is one of two options for a spring themed design. 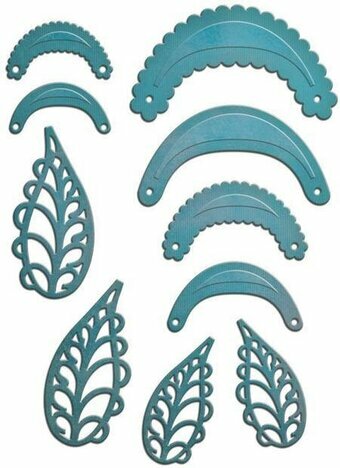 If you are looking for fun spring elements in your projects, this set is for you! Spellbinders Die D-Lites cut, emboss and stencil with a single die template. This two-pieces set is perfect for the photographer in the family! Use them in your cards, scrapbook pages, tags and more!